Looking for unique teambuilding activities in Fort Lauderdale? Why not try one of our Fort Lauderdale fishing charters. 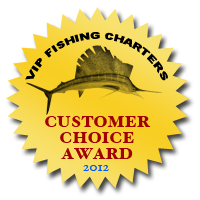 Our Fort Lauderdale fishing charters are perfect for teambuilding, corporate outtings and conventions. Our captains are used to dealing with groups and we can structure a variety of activities on board that will get everyone into the team spirit. One of our most popular fishing team building activities is our mini tournament. In one of our fishing tournaments participants compete with each other or in teams to catch the most fish, the biggest fish, or a specific type of fish. This can be done on one boat or using multiple boats. Our experiened crew will help show your group the ropes. And since fishing in Fort Lauderdale is such an exciting activity, your group will have a great time out on the water, doing something a little different. For our Fort Lauderdale teambuilding fishing charters we can arrange additional add ons such as catering, transportation, even massages at the dock when we return. Another popular end to one of our team building charters is having us deliver your group and the fish the group caught straight to a Fort Lauderdale waterfront seafood restaurant.